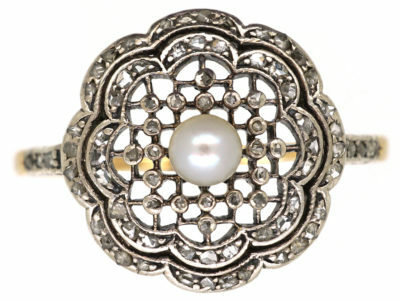 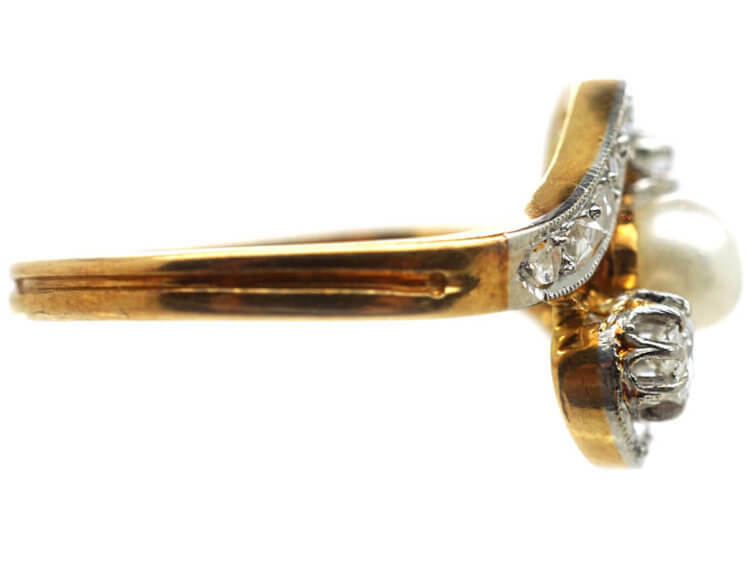 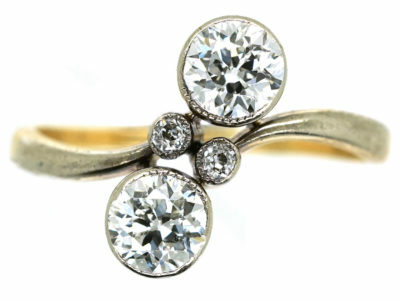 A very pretty Art Nouveau 18ct gold ring with a platinum top that was made circa 1900-1910. 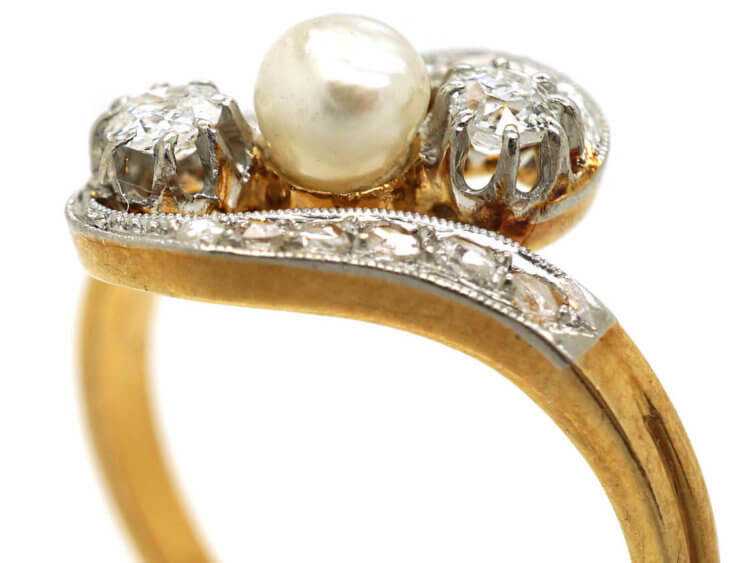 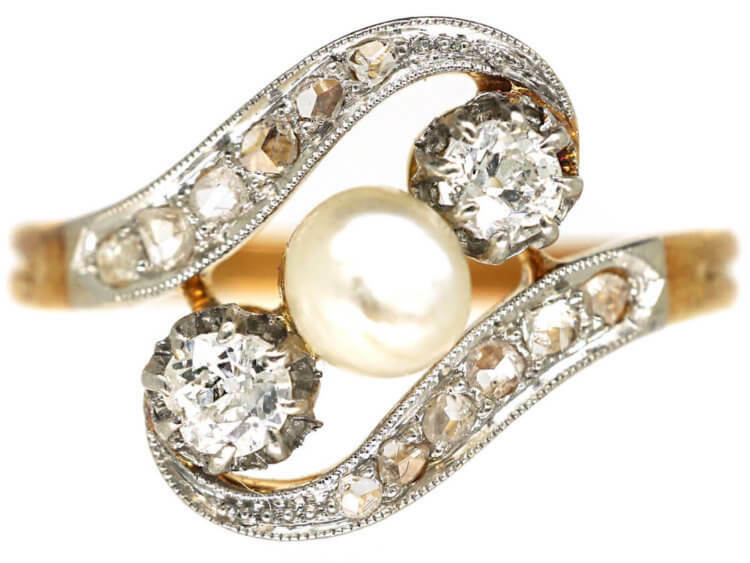 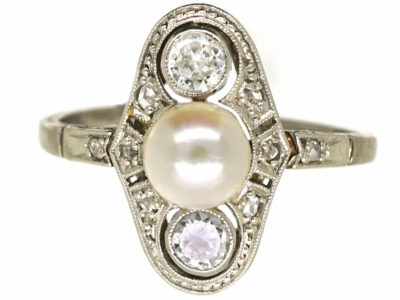 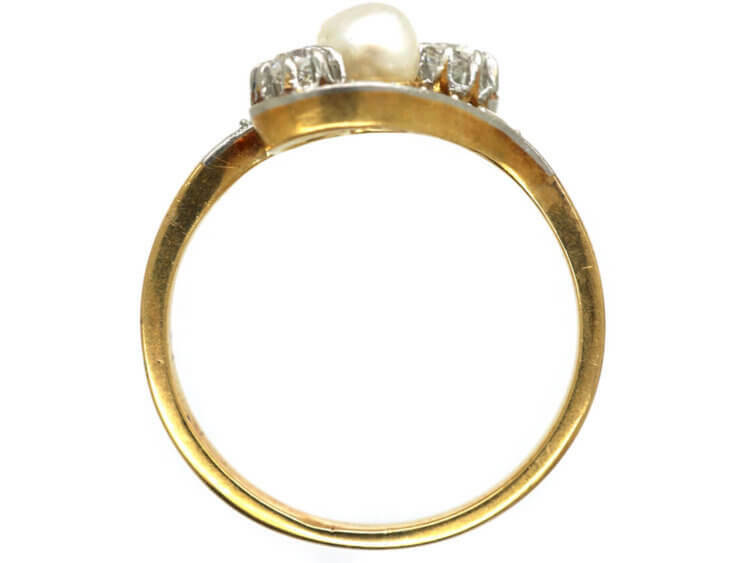 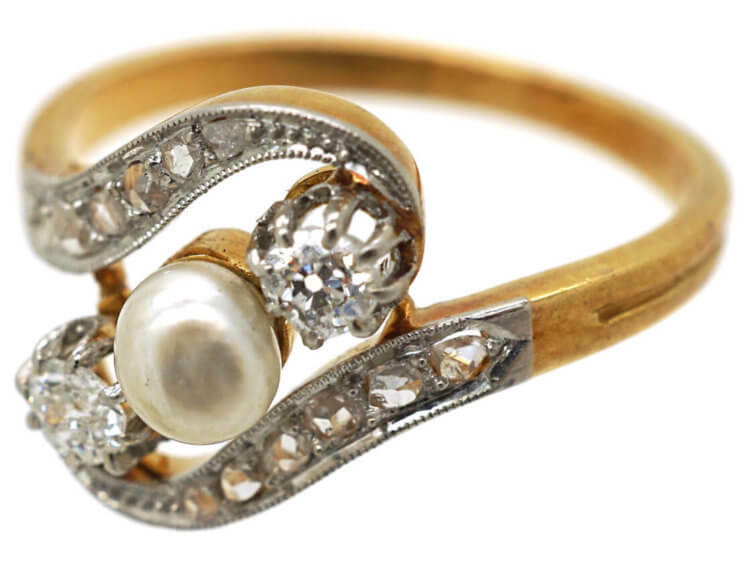 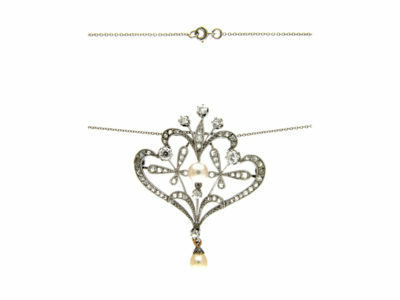 It has been set with a natural pearl in the centre with a white diamond on either side. 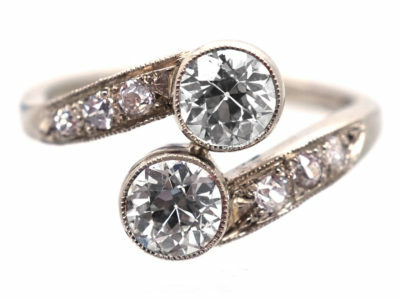 The shoulders are set with graded rose diamonds. 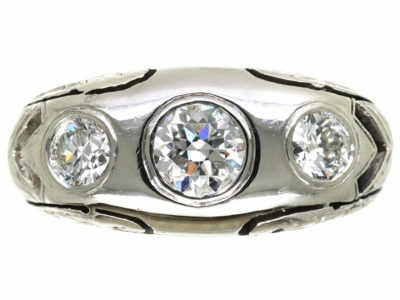 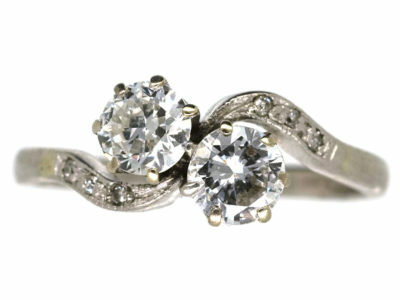 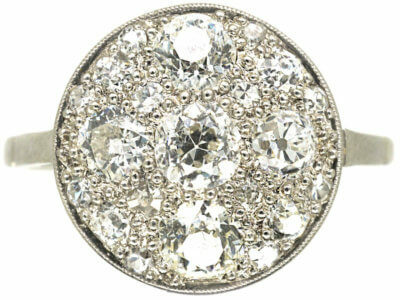 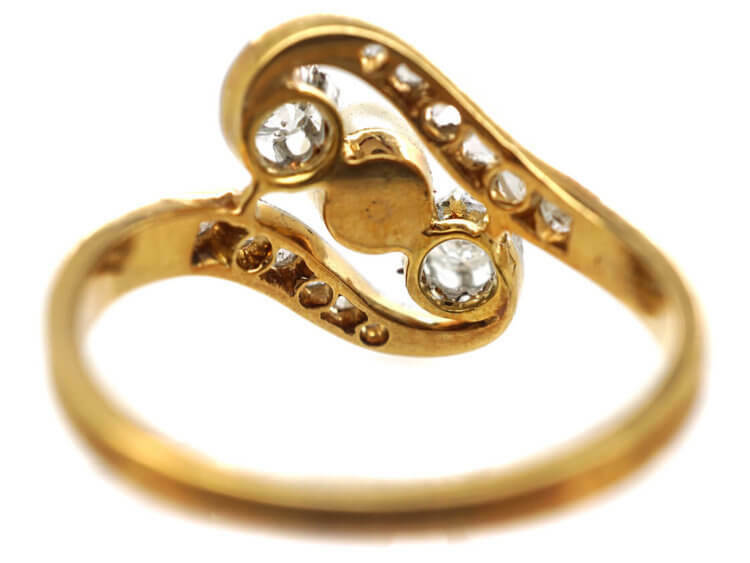 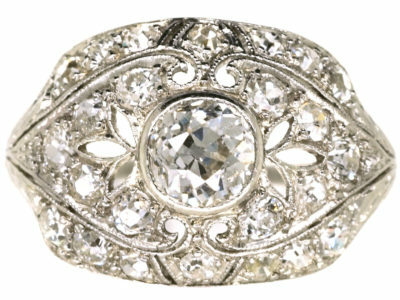 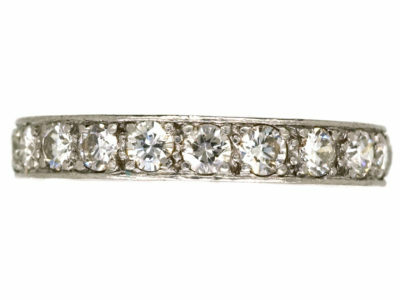 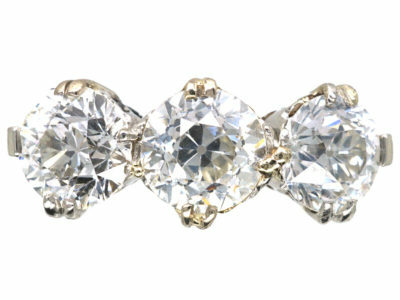 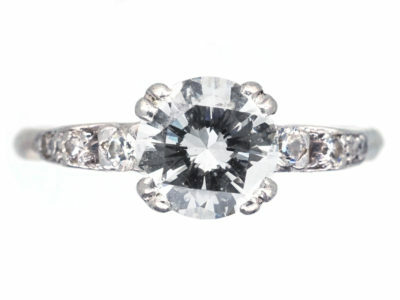 It is typical of the period with a flowing crossover design and would make a lovely dress or engagement ring.